With this objective, three groups of people will participate in the event: citizens, experts in graphic design, and researchers and science communicators working in the field of nanoscience and nanotechnology. Anna May Masnou, from ICMAB, will give an introductory talk on nanoscience (Nano-què?) to open the event. After the three introductory talks about graphic design, design thinking and nanoscience, the attendees will participate in a guided dynamic on design thinking around nanoscience to explore, in small interdisciplinary working groups, new communicative methodologies and synergies between the three sectors. 5:30 - 8 pm: Practical workshop. Interdiscipinary groups will work on design thinking dynamics. By Josep MartineX. The event will take place on Wednesday, 21 November, from 4 to 8 pm, in Barcelona. 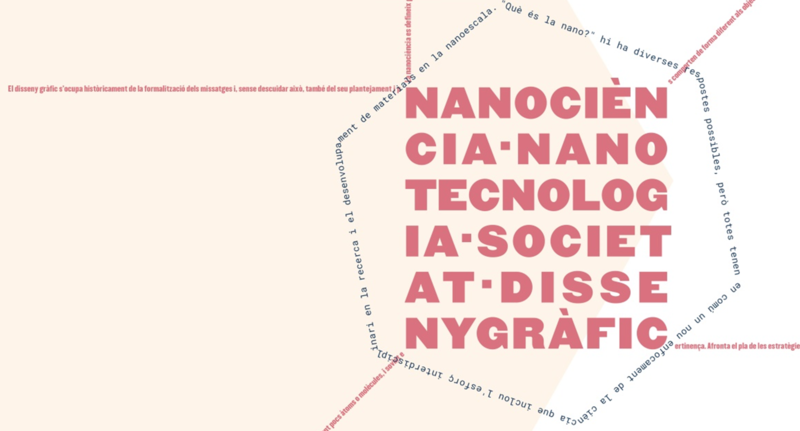 The event is organized jointly between the Catalan Society of Nanoscience and Nanotechnology (scn2.cat) and the Col·legi Oficial de Disseny Gràfic de Catalunya (dissenygrafic.org). 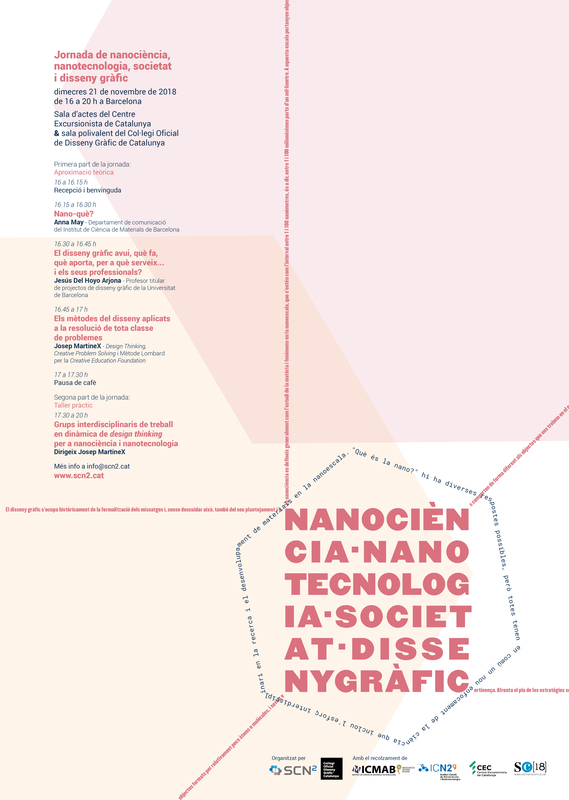 The event is supported by the Institut de Ciències de Materials de Barcelona (icmab.es) and the Institut Català de Nanociència i Nanotecnologia (icn2.cat). The event is in the framework of the Science Week (Setmana de la Ciència) and is part of the "9 Dies de Dimensió Nano".